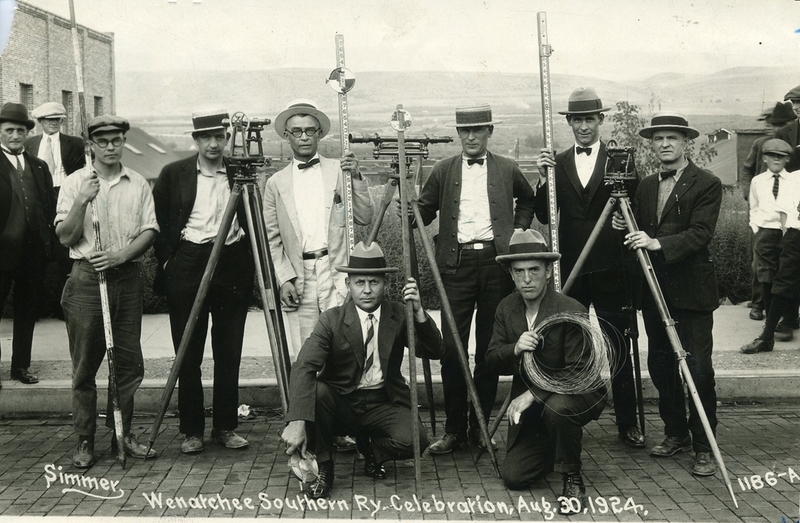 Probably the first official photo taken after the ICC granted authority on Aug 7, 1924 to build its 112 mile line in Chelan, Kittitas and Benton counties. Officials for the WS claimed that present railroad facilities in the Wenatchee Valley are not sufficient to handle the annual crops, largely apples. Construction will involve the usage of trackage belonging to the Chicago, Milwaukee & St. Paul as well as the OWR&N. A point about five miles from Kennewick on the OWR&N will be the southwestern terminal, while Wenatchee will be the most inland terminal.